How Is Brennen Taylor Age 23 Gay? Girlfriend Now To Prove Rumors Wrong? Home » Popular » How Is Brennen Taylor Age 23 Gay? Girlfriend Now To Prove Rumors Wrong? American YouTuber, Brennen Taylor was never new to hearing the rumors of him being gay but reaching the extent of his patience, he posted a video on YouTube disclosing about his sexuality. Brennen Taylor is an actor, YouTuber, and vlogger known for his comedy skits and trending challenges. He has gained almost 2 Million subscribers on his YouTube channel. Being a YouTuber, Brennen has also done some haunted adventures where he goes to abandoned and haunted locations and tries to communicate with the paranormal. Born on 3 April 1995, Brennen was raised in California along with his brother, Jake, and sister, Jess. He made a vine video entitled 10 Facts | Brennen Taylor where he mentioned that he started making vines because one of his ex-girlfriends told him he couldn’t do it. 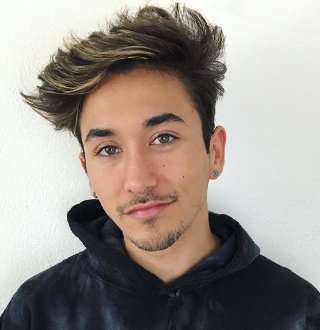 Standing at the height of 5’4, Brennen quickly gained popularity because of his sense of humor and creative content in his videos. He is also an actor who had a role in movies, Fort Brother in 2009 and Palo Alto in 2013. The 23-year-old media star has also appeared in an episode called Sneakerhead of the television series, Numb3rs which ran on CBS from 2005 to 2010. He has successfully made his career through YouTube and entertains thousands of viewers on a daily basis. Being a famous YouTuber, who runs his own self-titled YouTube channel, Brennen earns a lot from his videos and creative contents. He has amassed almost 2 Million subscribers on his channel. According to sources, Brennen has got an estimated net worth of $200,000. In addition to his earning, he also gets extra income from selling his merchandise. Brennen had been dating Kyra Santoro since February 2018, but they parted ways shortly after two months. Kyra Santoro is a model who signed with Newmark Models and Osbrink Talent Agency. Brennen made a whole video on how he asked Kyra to be his girlfriend. He had a long-term crush on her and succeeded in getting her to accept his confession. In the video, they seemed adorable stealing kisses and holding hands. Unfortunately, the relationship didn’t last long, and the reason the pair broke up is still under the veil. However, Brennen did make a video letting the fans know about their break up and mentioned that he always admired Kyra. Fans and viewers are always perked up when it comes to the celebrities sexuality. And Brennen isn’t far behind when it comes to that. There have been certain of rumors floating around about Brennen’s sexuality, probably because he often jokes about dating one of his YouTuber friends, Colby Brock. However, Brennen, being a very open person on camera as well as off camera, doesn’t fail to clear any confusions swarming around. I want to be real with y'all. I can never be gay, like, even if y’all wanted me to be, I’m so sorry I just couldn’t. Well good news for all the fangirling viewers out there, Brennen has confirmed that he is not gay. The fact that he dated Kyra Santoro also supports the denial of the rumor of him being gay. Ashley Olsen Pair Up With Old Dudes AKA Boyfriends, Married Or Still Dating? Lizzy Wurst: Lance Stewart's Girlfriend Net Worth, Phone Number - Revealed? Lil Pump Age 18 Wiki: Net Worth, Real Name, Height & Necessary Details!